Some years back, a video appeared on YouTube, which was taken from inside a plane bound for Kabul. While the plane is still sitting on the tarmac, the passenger pans around the interior, films the outside and then leans his camera down to film the rim below the window. The plastic cover that sits at the bottom of the windowpane was missing. In other words, part of the aircraft’s inner frame had detached from the window. Yet here the plane was preparing to take off for what must have been a six to seven hour flight. For most of us, seeing that would leave us ashen and welded to our seats in an anxious mix of apprehension and terror as we await for some harrowing mid-air pressurisation failure to take place. Air travel in the 21st century has become for many a miserable experience. We complain about weight limits, additional and often concealed charges, egregious prices for on board snacks, cramped seating and tight compartment space. However we rarely concern ourselves with the basics i.e., does my seat belt attach properly? Will the emergency exit doors open? Will my oxygen mask drop in the case of a loss of cabin pressure? However for several decades in Afghanistan, thousands of passengers took the white knuckle decision to venture across this vast land at 30,000 feet, with safety standards at a minimum; the possibility of being hijacked; suffering a catastrophic engine failure or being a sitting duck for a stinger missile. Since the 2001 US invasion, it has been a monumental task for investors and aviation experts to overhaul Afghanistan’s bad boy reputation when it comes to its airlines. Resurrecting the national carrier Ariana became a matter of pride for many Afghans, who hoped that they could restore the company to its former glory. 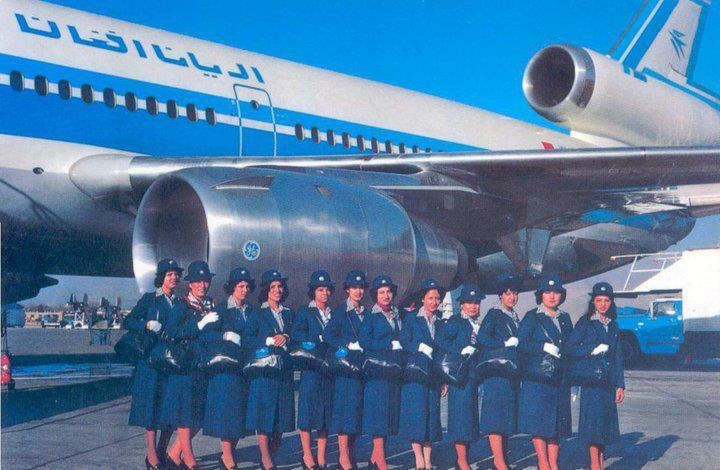 Ariana Afghan Airlines got its start back in 1955. The country’s monarch at the time, Mohammed Zahir Shah, wanted to make it easier for Afghan pilgrims to attend the annual Hajj in Saudi Arabia. The airline’s pleasant blue livery was even designed by him, since the blue represents the semi-precious stone lapis lazuli, for which Afghanistan is famous. In its heyday, during the 1960s and 70s, it operated as a joint venture with Pan Am, which owned 49% of the company. According to writer, Jenifer Van Vleck, the US carrier’s decision was driven in part by the US government’s strategy of providing technical assistance to foreign airlines, as a means of containing the threat of the Soviet Union. The idea was about winning hearts and minds through commercial aviation. The airline flew to all the world’s major cities, London, Paris, Frankfurt etc. Unfortunately the airline fell victim to historical forces, first through the Soviet invasion, and later under the Taliban. It earned the moniker Scariana, and became known as the world’s worst airline. During the era of the Taliban female cabin crew were sent home and pilots were ordered to grow their beards. In the late nineties, the airline suffered a string of fatal accidents. In 1998 an Ariana flight from Sharjah in the UAE crashed into a mountain near Kabul and during one flight to Kandahar, a pilot got lost and ended up crashing close to the Pakistani city of Quetta. One case which attracted widespread media interest was the hijacking of an Ariana flight in 2000, which ended up in Stansted Airport. The hijackers were desperate to seek asylum in the UK. The plane sat on the tarmac for five days, before the passengers were finally released and among them, at least sixty made a claim for asylum. In the years leading up to the invasion, Ariana was known by the CIA to be working, in the words of the head of the agency’s bin Laden unit, Michael Scheuer, to be a “terrorist taxi service”. The airline was used for handling arms and narcotics on behalf of al-Qaeda. Most flights served just Pakistan and the UAE, which meant al-Qaeda had ready access to the rest of the Middle East. In the early 2000s, it was up to the Afghan-American Mohammad Nadir Atash to resurrect the company, revamp its fleet and tackle corruption, which was endemic at Ariana. The most serious problem was the company lacked a culture of safety and qualified staff. Corruption was so rife that it was standard practice for people to offer bribes in order to buy a ticket or reserve a seat. For Atash, it was paramount to transform Ariana into a properly functioning company that could compete with regional carriers, and to do this, he enlisted the help of Lufthansa consultants. The cost of one day’s work was €1650 for each consultant, but as Atash told the Guardian “It’s hard to get the right people to come to a place like Afghanistan. You pay for what you get. And believe me, we are getting bang for our buck”. Despite Atash’s best efforts, and the efforts of other CEOs, including the present one in charge, Captain Moin Khan Wardak, Ariana joined the EU’s inauspicious list of blacklisted aircraft in October 2006 and even now doesn’t have a rating on Skytrax. The airline along with other Afghan carriers that have emerged since 2001 such as Kam Air,Pamir Airways and Safi Airways are now all blacklisted by the EU. Kam Air was accused by the US military of smuggling opium on its flights and as a result it was barred from receiving anymore military contracts. Ariana still flies to many major cities across Central Asia and the Middle East. Their fleet has somewhat improved, with the removal of their old 727s, and the addition of hand-me-down aircraft from Air India. The company has been working hard to improve its brand and has set up a slick website for its North American market. The airline is managing to solider on despite the enormous obstacles it faces in operating in such a difficult environment. The coming months and perhaps years will be the most challenging as the company could easily become sucked into the maelstrom of Afghanistan’s fractious internal problems. Rest assured though, this bird will keep on flying! I pray for Afganistan and its beautiful people every day. Someday i hope it can return to the wonderful country it once was.